This month marks the start of my fourth year serving as the national chair of the George Eastman Circle. When I assumed this role, we had 1,700 memberships. Now, we are more than 2,800 memberships strong—and still growing. The annual George Eastman Circle Honor Roll, which is available online for the first time, continues to recognize our ever-broadening membership and impact. Within its pages, you will find many examples of the ways your gifts have helped make a difference throughout every facet of the University of Rochester, including the Medical Center, the School of Arts, Sciences & Engineering, Eastman School of Music, the School of Medicine and Dentistry, the School of Nursing, Simon Business School, the Warner School of Education, and the Memorial Art Gallery. You will find some of those examples in this issue, and others in subsequent issues, of the newsletter. 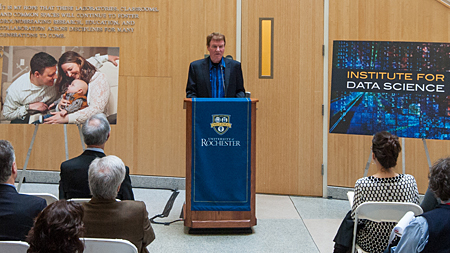 It was wonderful to see so many George Eastman Circle members at the New York celebration for The Meliora Challenge. The special videos and student performances made us incredibly proud to be part of the University community. 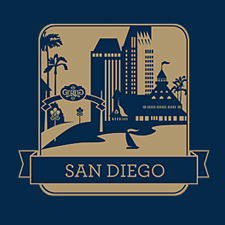 For those of you living in or near Southern California, the University will be holding a similar event in San Diego on April 10. As always, thank you for your dedication and generosity. Your passion continues to inspire all. 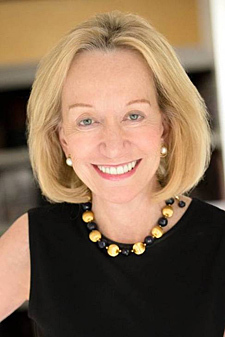 Doris Kearns Goodwin, world-renowned presidential historian and Pulitzer Prize-winning author, will provide the keynote address for Meliora Weekend 2014, which will run from October 16-19. Goodwin is the author of six critically acclaimed and New York Times best-selling books, including her most recent, The Bully Pulpit: Theodore Roosevelt, William Howard Taft, and the Golden Age of Journalism (November, 2013). Goodwin is also well known for her appearances on television, where she frequently provides commentary on NBC, MSNBC, CBS, ABC, FOX, CNN, The Charlie Rose Show and Meet the Press. The keynote address will be given in Kodak Hall at Eastman Theatre on Saturday, October 18 at 11 a.m. Information on how to purchase tickets will be sent by email next month. All of our George Eastman Circle members have wonderful stories to share. We are pleased to feature this story from an alumnus of the School of Arts & Sciences. 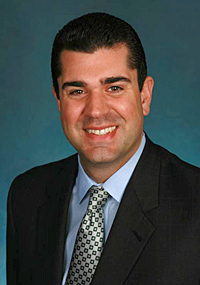 Jason Bradburn ’03, a financial advisor for Morgan Stanley, was entering his sophomore year as an economics major at the University when he landed a summer internship at Merrill Lynch. The commute from his home in Long Island to the city reminded him that New York is expensive—especially for an unpaid intern. Although his co-workers were kind enough to pick up lunches here and there, it was not a sustainable situation on his zero-dollar-an-hour salary. If he was going to stay with Merrill Lynch, he was going to need help. Jason found the support he needed at the Gwen M. Greene Career and Internship Center. He applied for and received one of the Greene Center’s grants that enabled him to keep the internship that eventually turned into his first job after graduation. As a life-saving bone marrow donor, “meaningful” isn’t a term he uses lightly. In 2009, Jason joined a registry for Be The Match®, a nonprofit organization that connects patients with donor matches for life-saving bone marrow transplants, in hopes of helping a relative’s friend. While he wasn’t a match then, he remained on the registry. Three years later, he was asked to save the life of a stranger and was quick to say yes. Jason’s Be The Match experience helped him see that the true value of giving—in all of its forms—is in the impact it has on the people who receive the gifts. And it’s why he continues to be a proud and dedicated member of the George Eastman Circle. You can learn more about the Gwen M. Greene Career and Internship Center here. George Eastman Circle members have pledged nearly $60 million in annual funds since the program’s inception in 2007. Here is a small sample of the innumerable ways your support has made an impact on the University and the surrounding community throughout 2013. Unrestricted funds supported a number of priority projects that are helping the School fulfill a new strategic plan for education. 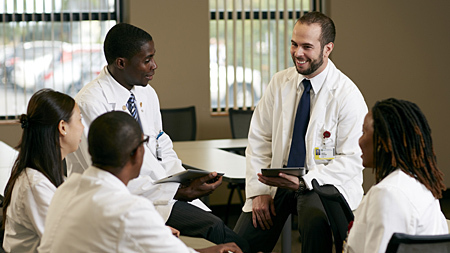 Scholarships attracted talented medical students and kept debt after graduation below the national average. Phase I of the Center for Experiential Learning was completed. This includes four new classrooms and two workspaces dedicated to simulation training. Stipends provided to Ph.D. students allowed them to present their research at scientific conferences, which are integral to their training and pre-career experiences. Dr. Eli Eliav was named the new director of the institute, as well as the vice dean for oral health within the School of Medicine and Dentistry. 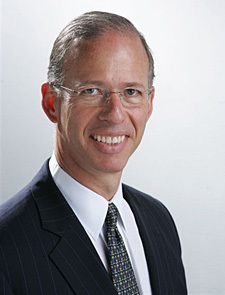 He is a widely published expert in oral medicine and orofacial pain, and has a longstanding history for gaining support from National Institutes of Health, as well as funding for industry research and service grants. Two division-specific fellowships, the Jack G. Caton Graduate Fellowship and the Stanley L. Handelman Fellowship, were awarded to distinguished residents who will pursue careers in academic dentistry. Phase I of the prosthodontics clinic renovation was completed. Phase II, which will allow innovative teaching of residents in a state-of-the-art facility, is under way. Student interns were able to work on several projects that required them to handle rare manuscript material, transcribe, write explanatory essays, and code and digitize materials. Original manuscript materials were purchased for Rare Books and Special Collections—including an autographed letter from Arthur Sullivan, of the theatrical team Gilbert & Sullivan, and items for the Frederick Douglass Collection. Increased seating and white boards are now in the Gleason Library, and gallery space was refurbished in the Art/Music Library. A digital signage system was added for interior way-finding, information support, and communication about events. Amounts pledged are current as of December 31, 2013. To read more about how members’ support has made an impact across the University, click here. Wegmans CEO Danny Wegman at the announcement of a $17 million gift from Wegman Family Charitable Foundation to benefit Golisano Children’s Hospital and the Institute for Data Science in the Munnerlyn Atrium of the University’s Robert B. Goergen Hall for Biomedical Engineering and Optics. George Eastman Circle members are making a difference at the University, on a daily basis—through their philanthropy and service to the community. Together, you remain vital to the achievement of The Meliora Challenge’s $1.2 billion goal; you provide the dedicated support that enables world-class research and health care and creates countless academic opportunities; and you are the embodiment of our mission to Learn, Discover, Heal, Create—and make the world ever better. Adeline and Walter Lutz, now deceased, gave most of their life savings—$6 million—to the David and Ilene Flaum Eye Institute. Part of their incredibly generous gift created a professorship. On January 22, Steven S.T. Ching ’74M (MD), ’81M (Res) was installed as the inaugural Adeline Lutz Distinguished Professor in Ophthalmology. To read more about the Lutzes and Ching’s installation, click here. On February 6, members Richard T. Bell and Yuhchyau Chen, M.D., Ph.D., were recognized at a ceremony that formally installed Chen as the Richard T. Bell Endowed Professor. Richard, a throat cancer survivor, established the professorship in honor of Chen and the nurses and technicians on her team to support research activities in clinical cancer and radiation oncology. To read more about Richard Bell and Yuhchyau Chen’s installation, click here. University Trustee Janice M. Willett ’78S (MBA) and her husband, Joseph T. Willett ’75S (MBA), were recognized as part of a ceremony that formally installed Nigel Maister as the inaugural Russell and Ruth Peck Artistic Director on February 28. The Willetts made a lead gift that helped establish the directorship, as well as the Russell Peck Fellowship in English, in honor of the Pecks. To read more about the Willetts, the Pecks, and Nigel Maister, click here. A lead gift from Francis (Frank) R. Grebe ’54 helped establish the Dexter Perkins Professor in History. Frank’s contribution was motivated by the support of his friend and fellow alumnus Robert Kirkwood ’56 (PhD) whose mentor was Dexter Perkins, Ph.D. On March 6, Joan S. Rubin, Ph.D., was installed as the inaugural Perkins Professor. To read more about Frank Grebe and Joan Rubin’s installation, clickhere. University Trustee Ronald Rettner is helping to preserve and enhance buildings and spaces across the University’s campus—particularly on the River Campus’ Eastman Quad—through theRonald Rettner Campus Improvement Fund. The fund will initiate renovations to Morey Hall, which connects to Ronald Rettner Hall for Media Arts and Innovation, this summer. To read more about Ron Rettner’s gift, click here. In gratitude to the University, and in support of higher education in general, Douglas Beck ’75 (MA), ’80 (PhD)and his wife, Constance, have made a generous commitment to endow the Douglas and Constance Beck Graduate Fellowship in Political Science. The fellowship will provide financial assistance to doctoral students in political science and related fields. To read more about the Becks’ gift, click here. Jonathan W. Mink, M.D., Ph.D., is now the Frederick A. Horner, M.D. Endowed Professor in Pediatric Neurology. Mink, a pediatric neurologist, was formally installed on March 19. He specializes in movement disorders that start in childhood, caring for children with a variety of conditions that impair voluntary movements, cause involuntary movements, or both. To read more about Jonathan Mink’s installation, clickhere. Recognizing the critical role that libraries play in advancing and preserving knowledge, Joseph N. Lambert ’59 and Harold B. Schleifer endowed a directorship in the River Campus Libraries. On March 25, Jim Kuhn, was installed as the inaugural Joseph N. Lambert and Harold B. Schleifer Director of Rare Books, Special Collections and Preservation. To read more about Joseph Lambert and Harold Schleifer and Jim Kuhn’s installation, click here. Wegmans CEO Danny Wegman, on behalf of the Wegman Family Charitable Foundation (WFCF), joined President Joel Seligman to announce a $10 million lead gift to the University’s Institute for Data Science and a $7 million gift to support the Golisano Children’s Hospital. In recognition of the WFCF’s generosity, the new building for the Institute for Data Science will bear the Wegman name. To read more about the Wegman Family Charitable Foundation’s extraordinary gifts, click here. The George Eastman Circle is helping to shape the future of the University and the lives of those it serves. Your five-year commitments are providing critical budget-relieving annual funds across the University and, ultimately, strengthening its ability to make a profound impact on society. In an effort to be “ever better” stewards of our environment and your investment in the University, we have moved to a once-per-year receipt for recurring credit card and EFT gifts. Annual summary receipts will be given to those who make recurring credit card or EFT payments for George Eastman Circle pledges or other University gifts. For the 2014 calendar year, summary receipts will be given in January 2015. You will continue to receive a confirmation email when your charges occur as long as we have a valid email. set up a recurring credit card payment, if you would like to start making payments in this manner.